Click the image above to view a larger image in a new window. Artist Craig Rackley is an emerging voice in the Birmingham, Alabama art community and a creator of classical oil portraits with an emphasis on detail and realism. 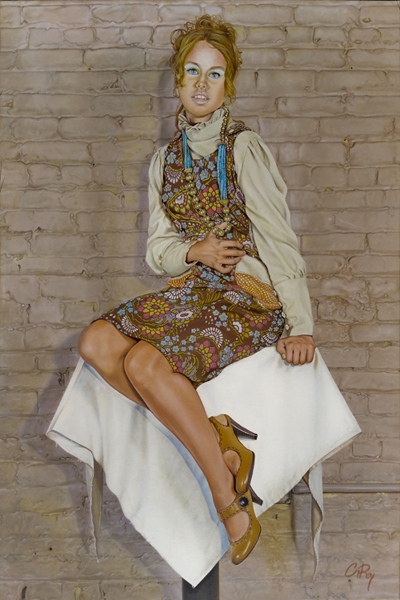 He brings his subjects to life through the use of lifelike color and master craftsmanship. A perfectionist by nature, he strives to deliver to each portrait a classical and artistic quality, without the use of unnecessary brush strokes or flamboyant, contemporary “flair”, while preserving and accentuating the personality of his subject. He is available for private commissions, corporate, and official portraits. Quality oil portraits are an investment, they last for centuries and choosing the right portrait artist to best suit your needs is a very important decision. Craig’s attention to detail and quality of work sets him apart from many artists in his field. His desire for perfection and his dedication to delivering the best possible portrait for his clients drives each of his paintings. He uses the best quality archival material to insure his clients will be able to enjoy their portraits for many generations.